My warmest congratulations to these 3 awesome couples who recently married. 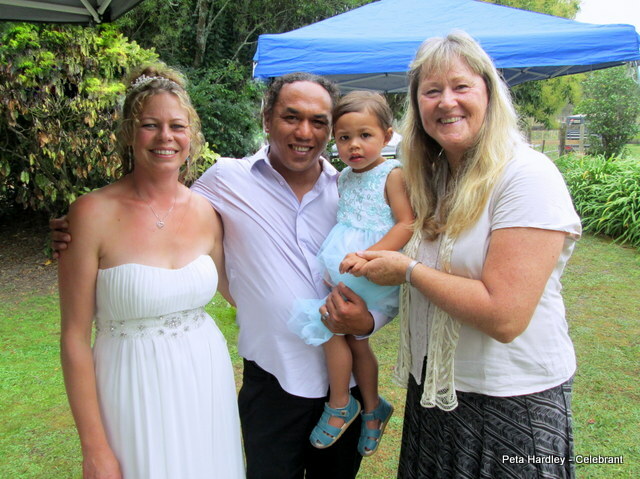 A bit of rain didn’t dampen the spirits of Claire and Lee and their beautiful daughter Jade, as they enjoyed their outdoor wedding with friends and family. 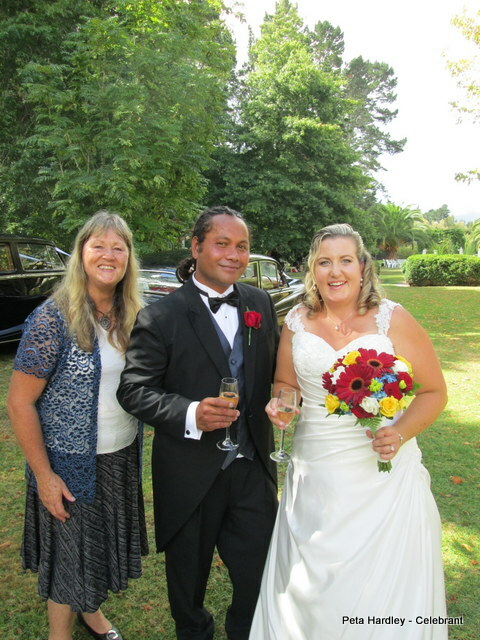 Joe (Amiga) and Kirsty looked radiant as they shared their Vows beside their 2 georgous boys Quinton and Hendrix, and all their family and friends at the Brigham in Whenuapai. 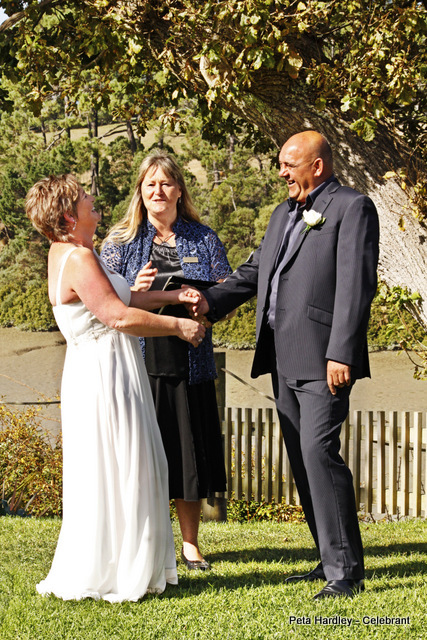 Sandy and David celebrated their big day at The Riverhead. Thanks to David’s daughter Miriam for this fab ceremony photo. Three wonderful couples! Have I said before what a great job I have?